First Baptist Church in Montgomery Alabama is also known as the Brick-a-Day church. The Church on Ripley Street played a role in housing meetings to plan and organize the Montgomery Bus Boycott and Freedom Rides. 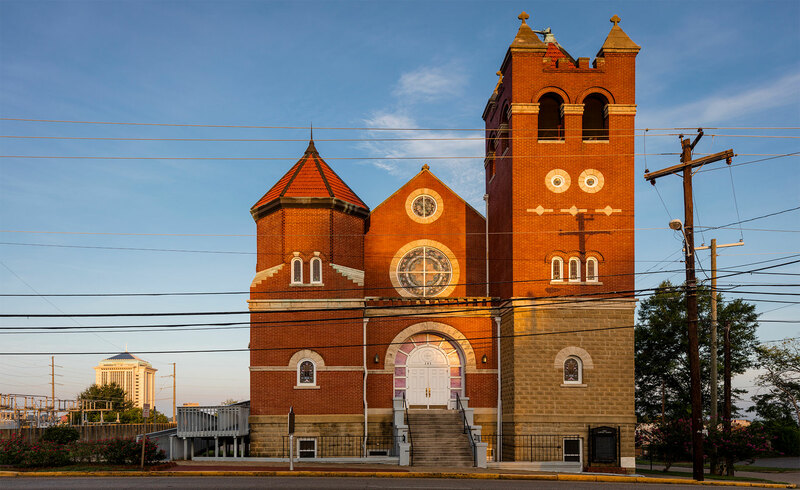 The church was held under siege by segregationists because it was used as a refuge to protect Freedom Riders evacuated from the Greyhound Bus Station. It took National Guard troops and President John Kennedy to finally diffuse the mobs surrounding the church.